You can send backward or bring forward the selected element. Select an element and click right mouse button in View editing window. 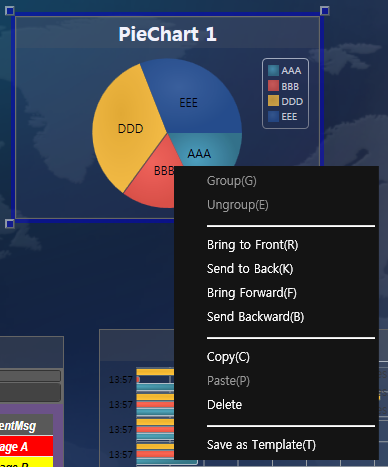 Select “Bring Forward” or “Send Backward” menu. 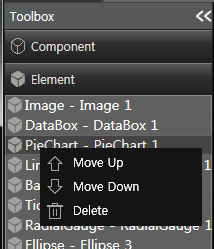 Click “Element” tab of “Toolbox” which can be found in left panel of View editing window. Select element you want to and click right button of mouse. Select “Move Up” or “Move Down” menu.